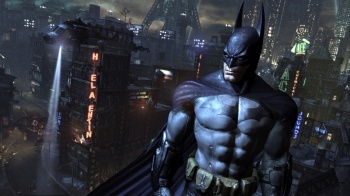 According to anonymous industry sources, Rocksteady Studios' next Batman title will be revealed at E3 2013. Last month, a Time Warner earnings call revealed that the next game in the Batman: Arkham series was due out later this year. According to the French site Gameblog, the next Arkham game will be revealed at E3, with the title hitting next-gen systems in late 2013. Oh, and it won't be a sequel; instead, Batman: Arkham Origins will be a prequel inspired by the Silver Age of comics, which ran from the mid-1950s to around 1970. This isn't the first time we've heard rumors about a Silver Age Batman game, and the fact that Time Warner already let the cat out of the bag about the next Batman also lends support to this unconfirmed report. If true, Arkham Origins will have appearances from other Justice League members, like fan favorites Green Lantern and Superman. It's already been reported that Arkham Asylum and Arkham City writer Paul Dini won't be returning to pen the next Batman game, which is a crying shame, since he's written some of the best Batman stories of the last 20 or so years. We also know that Mark Hamill won't be back in his iconic role as the voice of the Joker. If the next Arkham game is indeed due out in 2013, we'll likely hear more about it at E3; whether it turns out to be this long-rumored Silver Age prequel remains to be seen.